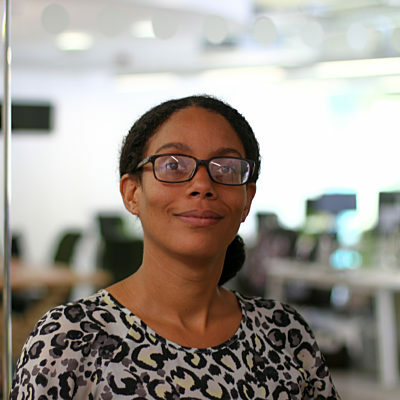 Olivia Amartey will step down as deputy chief officer of Sandwell and West Birmingham Clinical Commissioning Group this month to take up her new position as executive director of Elim Pentecostal Church. 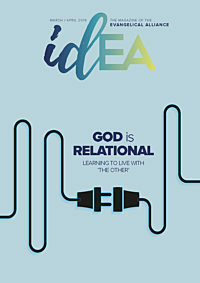 In an interview for the Evangelical Alliance, Olivia talks about the unwritten rules of success and encourages the church to proactively pursue intentional learning that embraces the diversity and unique perspectives of others. How have your past experiences equipped you for this new position? Looking back over the years I can see how key experiences, especially those gathered over the 30 years of my working life, have positively shaped the person I have become. I am an introvert (which is unbelievable to many people who know me and work with me); however, having worked in middle and senior management positions in the public, private and voluntary sectors, I have developed a range of competencies and skills that have equipped me well for this new position. Over the years, I have learned the unwritten rules of success that no management books can ever teach you, namely how important it is to be the authentic you wherever you are or in whatever situation you find yourself. For me, this means choosing to intentionally live out my Christian values in the marketplace. This is demonstrated in the way I lead my staff, manage conflict and implement strategies. One of your responsibilities is to oversee strategic planning at Elim. What’s your vision for the charity and how might you go about making it a reality? Elim has a vision that is articulated through a set of organisational objectives that undergird its mission and ministry. Put simply, as executive director, my vision is to ensure that the organisation is on the best possible footing to achieve its strategic goals. Once in post I will undertake an appreciative inquiry of the organisation and then, working collaboratively with my colleagues, agree a strategy that moves us towards successful delivery in the ensuing months. I recognise it’s not going to be a quick process, but I have found that a ​‘one-size-fits-all’ approach, or a strategy formulated in isolation, almost never works. You say the church needs to deploy sound business practices to extend the kingdom of God. Please explain what you mean. Having worked in a number of organisations across a number of sectors, I am always surprised that so many churches are either ill-equipped or ill-prepared to respond to the challenges that they face such as human resources, safeguarding, and budget management. Additionally, many churches rail against the implementation of policies and procedures, seeing it as unduly bureaucratic. However, bearing in mind the litigious nature of our society, coupled with the use of social media to immediately spotlight anything that goes wrong in the charitable world, I think we need to be diligent and proactive. In my experience, adopting sound business practices is more of a help than a hindrance. Getting the basics right so that our churches are legally compliant is immensely freeing, allowing us to focus on fulfilling our mandate for mission. You described Elim as having a fresh approach to sharing the gospel of Jesus Christ. What do you mean by this? Have you any examples? And what can the evangelical churches learn from Elim? Speaking personally, it has been refreshing to witness first-hand the energy of the national leadership team as it seeks to understand and articulate the direction of the Holy Spirit. The movement is well known for sharing the gospel at grassroots level, as evidenced through its churches both here and abroad. The commitment to expand its remit to pioneer new expressions of church in diverse communities remains strong. Under the leadership of the general superintendent, Chris Cartwright, the movement has given itself space to reflect on its place in the 21st century and to reimagine its future. This, in turn, has led to a refreshed commitment by church leaders and their teams, to spread the good news of the gospel within the sphere of their communities and to live as one body for Jesus. In tandem with this approach is the movement’s commitment to equip and train individuals so that they have the necessary skills for productive and intentional ministry. A great example that my own church has benefitted from, is the introduction of a one-year pioneer youth ministry aimed at churches where there isn’t a full-time youth leader on staff. Here, gap-year students are set the objective of starting a viable youth ministry in the churches in which they are stationed, coupled with training key individuals to continue the work after they complete their 12-month placement. The evangelical church comes in many flavours. Rather than answer the question about what the evangelical church can learn from Elim, in my opinion it would be much more pertinent to ascertain what evangelical churches can learn from each other. There needs to be a proactive pursuit of intentional learning that embraces others’ diversity and unique perspectives for discipleship, mission and ministry. You will continue as a minister at Crosspoint Church, which you pioneered. How will you juggle your responsibilities? Crosspoint Church has recently celebrated its three-year anniversary. As your question hints at, leading a pioneer church is an extremely challenging undertaking. We are fortunate to have a highly skilled and talented team of individuals, with whom I work very closely. The team members have embarked on a bespoke one-year leadership programme, which will give them the confidence to take on the various leadership needs of this small, but growing, congregation. This vital development will support succession planning, which in turn relegates me to a supporting role. In the meantime, I will continue to utilise my organisational skills and will balance the two roles.